I’ve been thinking a lot recently about the connections and contrasts between knowledge and poetry, religion and art, theology and food, and spirituality and music. I am no ascetic; I don’t think that material beauty is just something that speaks to our shallow desires for pleasure and distracts us from more important things, but rather that it is more fundamentally a crack in the purity of our minds that allows us to breathe and live. Beauty creates an opening into the objective clarity of logic, nous, and intellect and, yes, disrupts it all with something fallible, subjective, personal, uncertain, and fragile, but also simultaneously offers us a place to rest in our pain and imperfection, keeping us from closing ourselves off to the world, to others, and to a truth that exceeds the limits of our understanding and clear articulation (be that truth the infinite complexity of scientific truth or the infinite simplicity of spirituality). Leonard Cohen’s music, in particular, captures this dual mission perfectly, digging into our wounds and applying a salve. His words have inspired so many not just to enjoy his music, but to embody it, singing and playing his songs themselves, not just passively receiving their beauty, but taking them on directly and productively. Here are two wonderful covers of some of Cohen’s most famous songs. This is Philosopher Fridays, a weekly(ish) series where I take a brief look at philosophers who’ve had an impact on my thinking, for good or ill. These posts are not meant to be comprehensive in any way, but instead are intended to provide a glimpse into an aspect of a thinker’s work that has stuck with me. For this post, while I have not drawn at all from any of my previous work, I have taken graduate course on Wittgenstein and the philosophy of language, and as such I owe my understanding of Wittgenstein to the guidance of my professors. WITTGENSTEIN: Ludwig Josef Johann Wittgenstein (1889 – 1951) was one of the most influential philosophers of the 20th century. 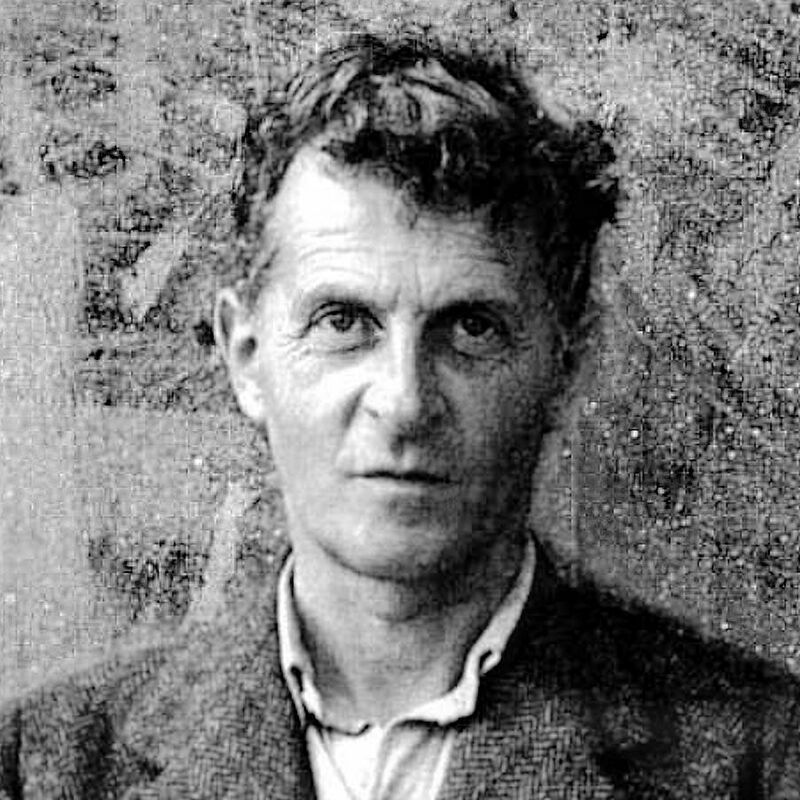 Born in Austria, Wittgenstein spent most of his career in England teaching logic, mathematics, metaphysics, and language. One of the most interesting things to know about Wittgenstein’s biography, given recent conversations about Neil deGrasse Tyson, is that he wasn’t terribly invested in academic philosophy. He published very little, left the academy more than once, and actively discouraged students from going into not just philosophy, but any academic discipline. He had little faith that anyone would ever properly understand him, and pushed students instead toward more practical career paths. Not that it stopped him from doing philosophy, of course. He was, according to Bertrand Russell, a genius, and though he was little published in his life, his notes, lectures, papers, and unfinished works have been made public after his death. There are two points in Wittgenstein’s work that speak to me. What is the case (a fact) is the existence of states of affairs. The general form of a proposition is the general form of a truth function, which is: . This is the general form of a proposition. Which then leads, of course, to the silence required by things which fail to be captured by logical propositions. Though some take this as a wholesale rejection of ethics and the mystical, I think it suggests a few more substantive things – it declares the impossibility of getting something factually “right” in the realm of ethics, but without completely dismissing the possibility that there might be some way to understand it, however alogical that understanding of principles would have to be. Here I’m stepping away from what Wittgenstein intended, perhaps, but I think it leaves room for exploring non-propositional, non-linguistically determinate ways of thinking about the transcendental. The the second point of Wittgenstein’s work I’d like to highlight is from his posthumously published collection of Philosophical Investigations. Like the Tractatus, this work is not a cohesive work of narrative prose, but a series of almost aphoristic paragraphs. While there’s a lot of debate about “early” and “late” Wittgenstein, I think this quote makes for an interesting counterpoint to the proposition above. And if we carry this comparison still further it is clear that the degree to which the sharp picture can resemble the blurred one depends on the latter’s degree of vagueness. For imagine having to sketch a sharply defined picture ‘corresponding’ to a blurred one. In the latter there is a blurred red rectangle: for it you put down a sharply defined one. Of course—several such sharply defined rectangles can be drawn to correspond to the indefinite one.—but if the colours in the original merge without a hint of any outline won’t it become a hopeless task to draw a sharp picture corresponding to the blurred one? Won’t you then have to say: ‘Here I might just as well draw a circle or heart as a rectangle, for all the colours merge. Anything—and nothing—is right.’—–And this is the position you are in if you look for definitions corresponding to our concepts in aesthetic or ethics (PI 77). And if you’re taking this as a starting point (and not just aiming for Wittgensteinian discipleship) you can flip this around as well. Imagine that the Truth (real, capital T truth) is a rectangle. In order to provide demonstrative knowledge of this Truth, a philosopher has to figure out its exact dimensions and line their description up perfectly with reality. It can’t be off at all, or else it’ll miss the mark. There’s no “almost” involved in trying to line up two rectangles with precision. You’re either right, or you’re wrong. With the fuzzy version, it’ll overlap the precise reality of things easily, but it won’t give you a clear view – in fact it might even obscure it. Perhaps it’s better to think about the Truth as a fuzzy rectangle, and then try to find it with an even fuzzier one. What I learn from this (and my reconstructed version) you’re much more likely to succeed with the fuzzy , but what you’ll get from it will be difficult to parse, and will have no determinate meaning. In terms of transcendental truths, like those of aesthetics or ethics, this once again opens up the possibility of thinking about what alogical understanding might entail. I haven’t come to any conclusions, but it’s a thought I’m exploring in a number of different arenas – including this blog.